Private Coaching runs for 1.5-2 hours with one-on-one Instructor coaching in water. 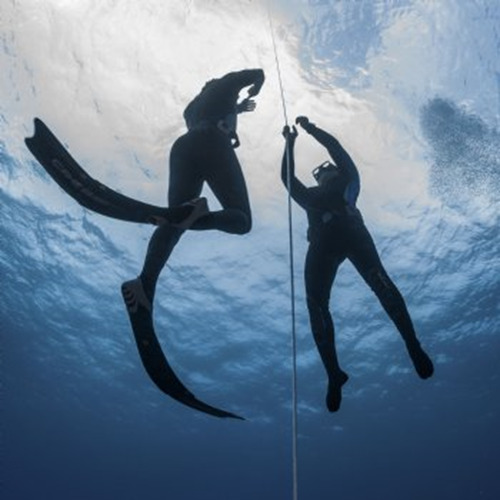 During training, under the guidance of the Instructor participants can expect to learn more about relaxation, innate fears, overcoming stress and improve freediving techniques. Over the session, you'll discover how to develop greater comfort and movement in the water. Participants may have little to no background in freediving, be certified freedivers or perhaps keen to upgrade their snorkelling experience. In a private session, the experience is targeted at your individual development to discover the best experience in learning more about freediving. The emphasis is on developing your technical and water safety skills and abilities.